A couple of years ago, most people hadn’t even heard of binary options online, but today, the industry is booming. Back then, there were only a couple of , and numerous brokers only offered a single way to trade, the typical “High/Low” trade. As binary options online became more popular, brokers started to add as well as Boundary or Range options. 60 Second options and other short-term trades became popular. Now we are seeing even more new types of trades. 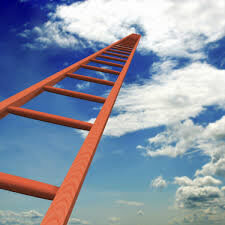 Recently I have noticed that a number of brokers are starting to offer a new type of binary options online trade called a “Ladder trade.” Curious what a Ladder trade is? So was I, so I did some research, and now I am going to tell you exactly how a Ladder trade works. Ladder trades were apparently first offered by a company called IG Markets, but I have seen them on at least three of four brokers this past month, including GOptions, a broker which we recommend. The Ladder trade’s name points toward the “interval” nature of the strike prices involved. Most of the explanations I have found for Ladder trades online are very unclear, so I will do my best to offer the first clear, concise explanation. Have you ever seen a trade that you want to take, but you expect some significant support or resistance along the way? Did you ever wish you could win a partial profit if the trade went part of the way, and have a chance to win more if it went even further? Say you are trading GBP/JPY. The current price level is 86.90. The current time is 10 am. Strike Price 1: 87.11. 10:15 am. Payout: 35%. Strike Price 2: 87.34. 10:32 am. Payout: 40%. Strike Price 3: 87.50. 10:58 am. Payout: 70%. The payouts offered by your broker will generally reflect how risky your trade is determined to be. If you set your strike prices really close together within a short time frame, your broker will likely offer you smaller payouts. If the strike prices are further apart across a longer time, you are predicting a bigger move, and you may be offered higher payouts. At 10:15 in the morning, GBP/JPY needs to be trading at or above 87.11%. If it is, you get 35% of your investment as a payout. At 10:32, your asset needs to be trading at 87.34. If it is trading at or above that level, you will receive 40%. At 10:58, GBP/JPY must be trading at or above the last level you designated, 87.50. If it is, you get 70%. If you add up all those payouts, you get a total payout percentage of 145%. Remember, the percentages offered will depend on the perceived risk of your investment as your broker analyzes it. If your Ladder trade is too “easy” to achieve, you will be offered only small payouts. If however your Ladder trade is too “difficult,” and has no basis in reality, you are not going to win. What are the advantages of trading this way? As far as I can tell, it is in many ways just another way to frame your trading. You are still looking at a particular asset and saying “I believe this asset is going to move up/down within this expiry period.” You are making additional comments as to the rate of expected movement, however, which requires more advanced expertise. The fact that you are allowed to set the Ladder expiry times for each rung of the trade puts more power in your hands as a trader. So does the fact that you get to designate the strike prices. The disadvantage of course is the additional difficulty. As best I can tell, however, if you achieve only part of your Ladder trade, you will at least receive that partial payout. You may want to check with your broker however, as there could be differences between brokers are regards these “in the money” vs. “out of the money” rules. When would be a good time to use a trade like this, and how would you determine smart strike prices? I would suggest using a Ladder trade when there are predictable areas of support and resistance. In the example above, with GBP/JPY, imagine that you knew that there were around each of those strike prices. You might be pretty sure that the asset would reach the objective within the timeframe given, but you expected areas of hesitation, which would prolong the process. In this case, it might make sense to do the Ladder trade, because you could take advantage of those hesitation periods. When you set the expiry times further apart, your broker may offer you higher payouts. One thing I am certain about is that Ladder trades are not for beginners. These trades are complicated, and introduce intricacy into your trading. Start out with more basic types of trades like High/Low, One Touch, and Range trades, and progress to Ladder style trades once you have the basics down. Over the coming weeks, more information should become available on this new type of trade. I will share additional suggestions for Ladder trading techniques and pitfalls as I learn more. In the meantime, do your demo testing, follow your trading system rules, and good luck!